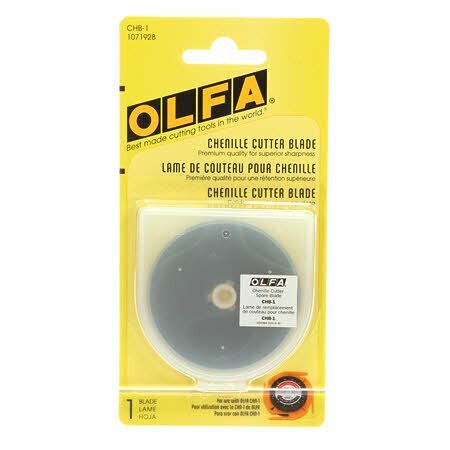 Circular replacement blade for the Chenille Cutter (CHN-1) to easily make chenille. This long lasting, UltraSharp double-honed black blade is made from high-quality tungsten tool steel. Also used to cut multiple layers of fabric, paper, cardstock, photographs, felt, fleece, and more!